Purchase your tickets to the SCI Green & White Gala! 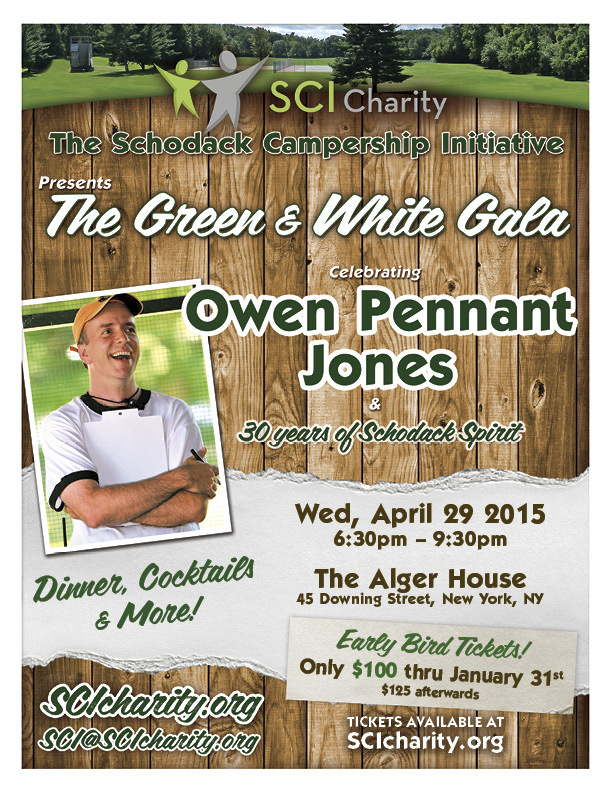 SCI is pleased to present The Green & White Gala, celebrating Owen Pennant Jones and his astonishing 30 years of service to Camp Schodack. Hosted in New York City at The Alger House, attendees will enjoy dinner, cocktails and a festive evening connecting with friends – old and new. We hope to see everyone there!